Greetings all from a rather parched Northern Botswana …no or very late rains. 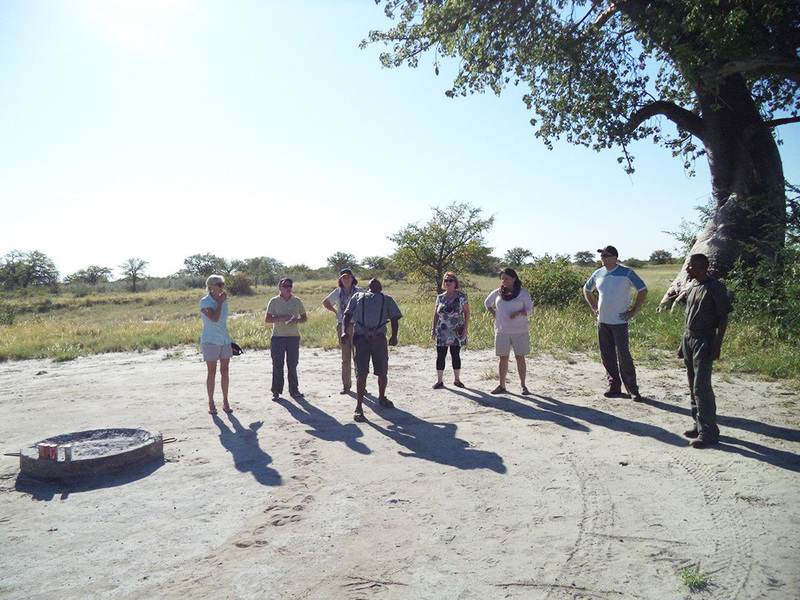 We have completed two different zebra migration Makgadikgadi and CKGR safaris. Due to the low rain it has been pretty much of a challenge finding big numbers of zebra and they seem to have split between Nxai Pan/Jacks camp area and the Boteti River. The surprise at Nxai Pan (besides the cheetah with 2 near adult cubs) was what we guessed was near to 1000 animals at the waterhole. Sunsets on the pans were a great way to unwind after the fairly long drive from Maun although we did stop at Phuduhudu Village. The village visit (this is impromptu and never planned) included visiting our favourite Mangoonyan (pronounced just like that) shop (the doughy fat cake like breads in the big pot) which we snacked on at a morning coffee stop. On this occasion we were kindly offered the use of the shop owner’s toilet which is a first for me! Very friendly and hospitable people. From the Mangoonyan shop we stopped off at the Phuduhudu village clinic (primary health care is free in Botswana) and we were all very impressed with the conditions, staff and equipment in the clinic. Our guest Viktor even offered to have his blood pressure taken and the nurse on duty commented that it was too high. The nurse politely declined Viktor’s request that he be admitted amongst huge laughter from the group, guides and staff. On the way out of the village some of the friendly locals impressed us with some impromptu dance moves. From Nxai Pan we moved on the Boteti River where we crossed with the ferry after a short and intense game drive!! The Boteti surprised us…. as soon as we arrived all within one stretch of the river we came upon thousands of zebra (they should still be on the pans), wildebeest, kudu and hippo. Many of our guests are regular safari repeats and mentioned to me that they had never before experienced such an intensity of game (ok …..excluding the Mara!) and it was completely unexpected. Poop spitting contests are now pretty standard on all our mobile safaris. Giraffe / Gemsbok / Oryx are preferred projectile of choice with about 50% of the group competing, the rest taking photos and the rest roaring with laughter!!! The trick is not to keep it in your mouth too long, but to build up enough spit to give it a bit of momentum… (photo of our guide Ike Mogalakwe demonstrating). 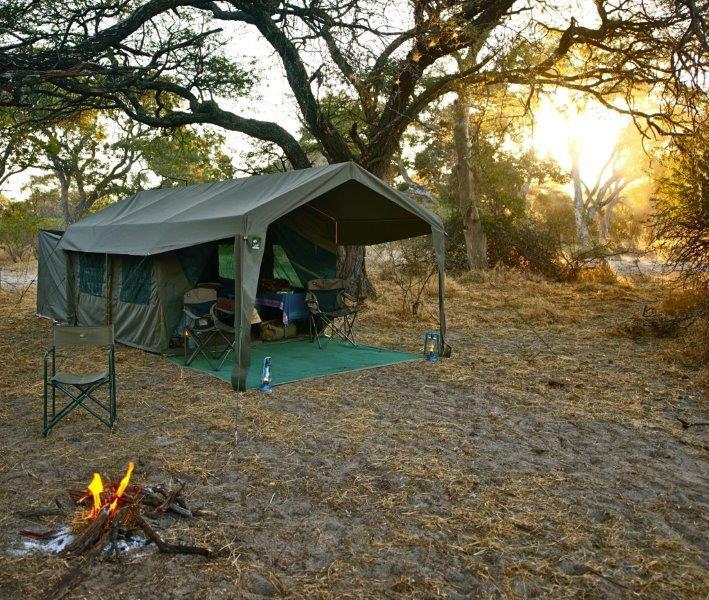 For the safari experience of a lifetime consider a mobile safari with Okavango Expeditions …it’s simply the very best safari experience and the very best to experience Botswana.